Clean 4 goose breasts and slice into 1/4 inch thin strips and place into a glass dish or pan. Mix all marinade ingredients in a small bowl and pour over meat. Cover with plastic wrap and marinate for 1 hour or overnight. Heat large skillet over medium-high heat. Add one tablespoon of olive oil to skillet along with red bell pepper, garlic, ginger and white onion. Sauté vegetables for 5 minutes to slightly soften. Add marinated goose meat to skillet and continue to cook until lightly browned, usually about 5 to 6 minutes. 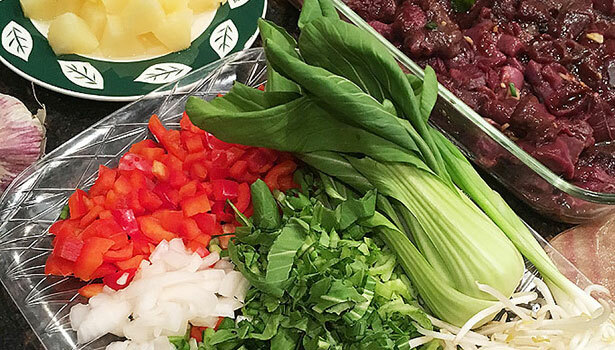 Add chopped Bok Choy, bean sprouts, water chestnuts and green onions to the skillet. Gently stir everything together and continue to cook for 1 to 2 minutes. Remove from heat and pour the goose stir-fry over cooked rice. Garnish with pineapple and fresh mint. 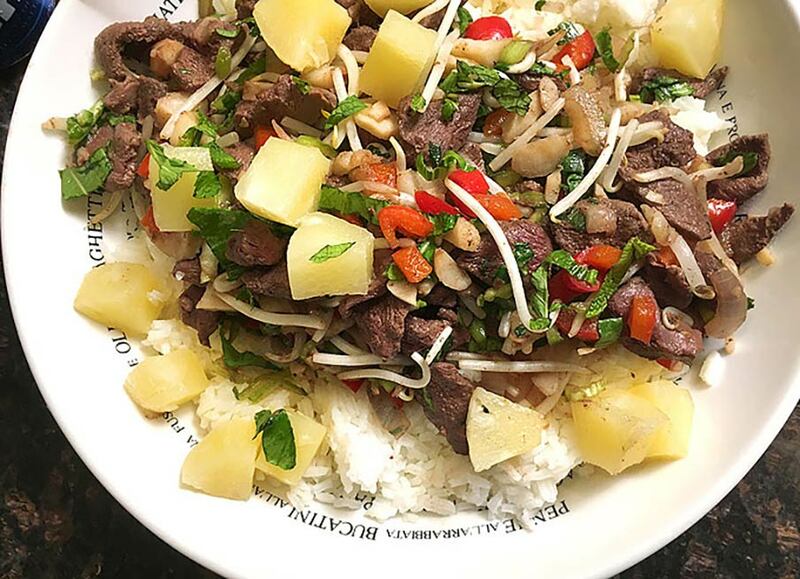 For more information about this recipe, please visit: //www.nevadafoodies.com/goose-pineapple-stir-fry/.